Having defined his Resources in Oracle Work in Process (WIP), Dwight knows that he has to associate these Departments with the Resources they house. This page follows the steps he takes to do just that. 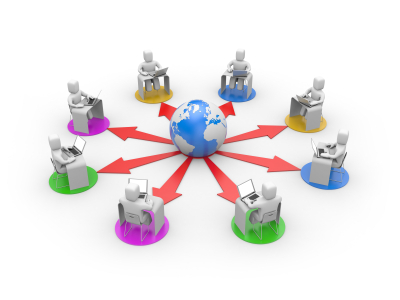 Department Classes are used to group Departments primarily for reporting purposes. 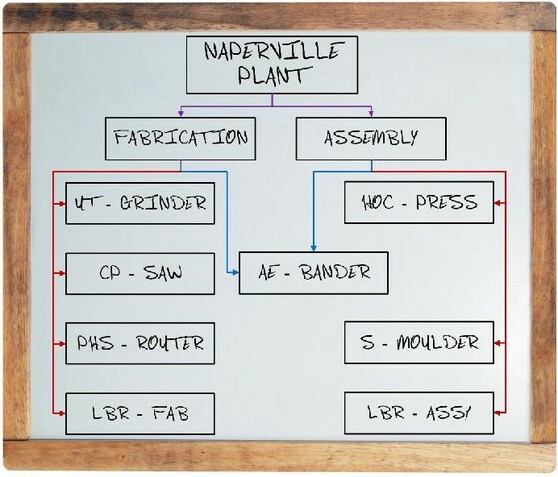 Dwight sets up his Department Classes based on the broad functional categories he sees at the Naperville Plant. A new window opens to run the Demo. Use F11 or View > Full Screen to browse. Click it and that's it! You are good to go! You are not missing a single detail. Let us revisit the diagram Dwight drew earlier, depicting his Departments and their Resources. He follows upon his work by setting it up in WIP. Let us see how Dwight goes about it. Dwight’s drawing on the whiteboard seems to suggest that the Machine AE-BANDER is shared among the two Departments. That is not the really the case. In fact both the Departments – ASSEMBLY and FABRICATE have 2 units each, of this machine. That is what Dwight means to show in his drawing. The concept of borrowing a resource comes in when FABRICATE needs a machine that is available only with ASSEMBLY. Let us review the demo below. The way it has been. When viewed in Full Screen.